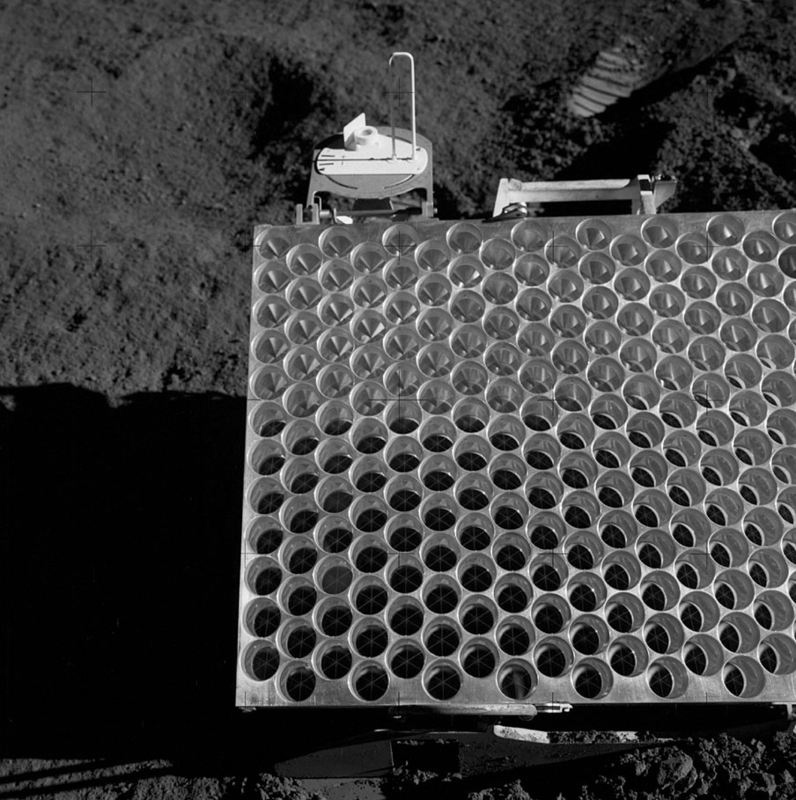 as placed on the Moon and photographed by D. Scott. 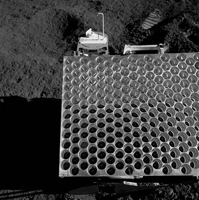 The Apollo 15 Lunar Laser Ranging RetroReflector (LRRR) array is one of four such working arrays on the surface of the Moon. As the largest (105 x 65 cm in size) it serves as the primary target for laser ranging to the Moon. In this calibrated image it appears as the tiny white rectangular feature farthest to center left (circled, near the edge of the original NAC image). The distance to these retroreflectors from the Earth can be and is still routinely measured to the centimeter level or better, and their relative positions are known to a similar level. Such measurements can be used for several purposes, such as precisely determining the orientation and orbit of the Moon, testing gravitation and general relativity theories, and for establishing a highly precise latitude and longitude coordinate frame for the Moon. The image width is 391 meters, with a pixel width of 52 cm. Subset of NAC frame M111578606LE.